Laura is a fascinating central character. She reminded me of Judy Blume’s best protagonists. Blume isn’t afraid to let the girls in her stories get angry, act selfishly, or develop bizarre adolescent obsessions. Their home lives aren’t perfect and sometimes go through major changes, like divorce or death, but often the biggest dramas sprang from commonplace disasters, such as getting your first period or finding out your friend got breasts before you did. Laura and the other women of Tania in the Getaway Van would fit right into a Judy Blume book. The theme that Tania in the Getaway Van knocks out of the park is how revolutionary social change can seem so ordinary while living it. Women pursuing higher education, entering the work force, fighting the patriarchy, etc., etc., is usually portrayed more bombastic in pop culture, like Working Girl or 9 to 5. The reality for a mother going back to school looked more like coordinating babysitters and awkwardly bonding with children while doing homework at the same time. It isn’t all marches and protests (though they are important). Radical social change isn’t always glamorous or exciting, but in the latter part of the play when Laura is grown, she realizes how subversive her mother’s decisions really were. 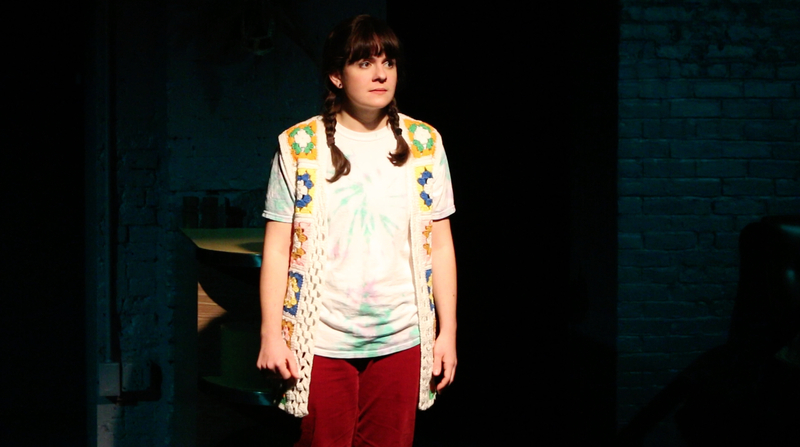 The audience gets to see how Diane’s words and actions affected so many people around her, like Laura’s babysitter Carol Pilling (a minor role played to subtle perfection by Madeline Wise). If there was one major complaint that I had about Tania in the Getaway Van, it would be the show’s focus exclusively on white cis feminist lives. Courtney G. Williams plays two roles as Laura’s friend Stacy in 1975 and Diane’s assistant Katelyn in 2012. Her experiences as a woman of color and how they would have differed from Laura or Diane’s experiences in these eras are not addressed, and it sticks out. That might have been a deliberate decision to keep the story tight and focused, but considering white feminism’s history of excluding women of color from the narrative (or caving quickly on issues that specifically affect women of color), this oversight is disappointing. Despite these shortcomings, though, Tania in the Getaway Van is absolutely worth a look. 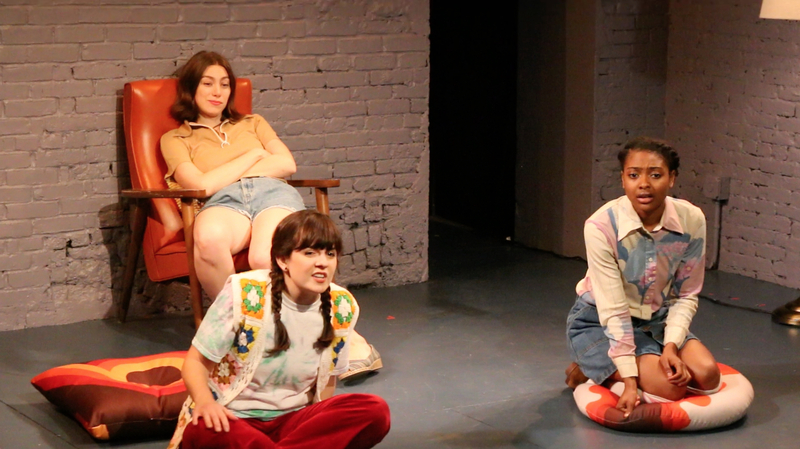 Playwright Susan Bernfield and director Portia Krieger have crafted a funny and unconventional coming-of-age with memorable female characters and a critical message about social change. Tania in the Getaway Van runs through December 16 at the Flea Theater’s new Tribeca home at 20 Thomas Street. General admission tickets are $25, reserved seats are $35, and a “Pool Pass” including tickets for Tania in the Getaway Van, Washed Up on the Potomac, and The Rafa Play is $60. Tickets can be purchased in advance online via The Flea Theater and The Pool websites or by calling 212-352-3101.